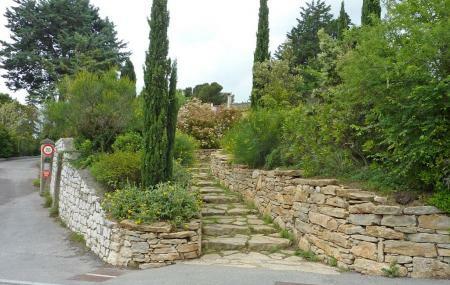 Offering breath-taking view of Mount Sainte Victorie, this is the park where the famous painter of Aix-en-Provence Paul Cézanne spent his afternoons admiring the panoramic view of the Provence and portraying them in his works. Over 28 of his paintings were created here. Ideal for picnics, hike up to the top with a sketchbook and be a little painter yourself! Pack your picnic on the visit as there are no eateries available. Bus no 5 to Les Peintres and then walking. How popular is Terrain Des Peintres? People normally club together Fondation Vasarely and Pavillon De Vendome while planning their visit to Terrain Des Peintres. A bit ways off the town but it's only a 15 minute walk from Cezanne's workshop and I think it's well worth the trek. You get to see the view of Mt. Sainte-Victoire. There is also a series of artworks by Cezanne and you can tell how the weather affected his view of the mountain and how it's portrayed in the pieces. Stunning views. Great spot to chill out and relax. Beautiful view of Mont Saint Victoire. Went there in the late afternoon in the winter and the light was perfect.